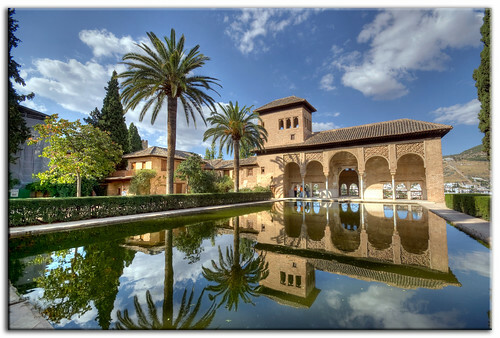 For the vast majority of visitors to Granada the huge attraction is the wonder of the Moorish Alhambra, a stunningly beautiful palace. Granada has many other attractions including a wide selection of bars and pavement cafes, great dining opportunities and a sprinkling of good nightclubs. The city has an extensive selection of shops, boutiques, department stores and markets. The main shopping areas are the Albaicin, the Alcaiceria, as well as the predominantly shopping streets of Calle Cuesta Gomez, Reyes Catolicos, Mesones and Recogidas. 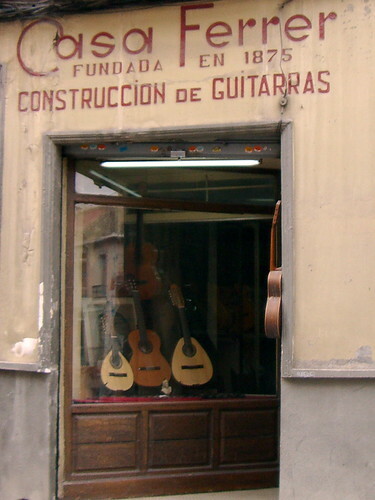 Calle Cuesta Gomez runs from the Alhambra to Plaza Nueva and is famed for its many classic Spanish guitar makers. These shops tend to be open to the public mostly in the morning and in addition to seeing the guitars being made, offer the opportunity of impromptu music sessions. There are also many souvenir shops offering locally crafted souvenirs. 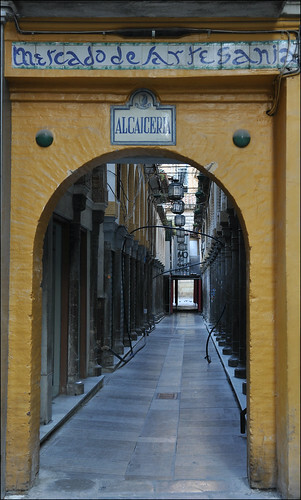 Located next to Granada’s Cathedral is the Alcaiceria, originally a silk bazaar which burned down in the mid-1800s. The replacement building was created in the same Arab souk style. It’s full of narrow alleyways lined with shops. Brighly coloured fabrics are plentiful here as well as a large selection of jewellery, locally crafted pottery, chess sets and fancy tarecea gift boxes. The main shopping streets in the city, Reyes Catolicos, Mesones and Recogidas, offer many Spanish and international branded shops, such as Zara, Mango, Etam, Bershka, and Massimo. There are also many independent stores selling all kinds of fashion and craft items, especially leather goods including shoes, bags and belts, as well as silver jewellery and hand crafted gold items. The Albaicin district has a strong feel of North Africa rather than Spain, as this is the truly Moorish area of the city. It is famed for its ceramics, especially plates and wall plaques, there is also a wide selection of Moroccan goods including mirrors, rugs and chandeliers. You will also find many traditional Spanish flamenco dresses. There’s a food market daily, all day Monday to Saturdays, at Plaza de San Agustin where you can buy bread, fruit, vegetables, meat and fish, ideal if you want to put together a picnic lunch of local produce. On Monday and Saturday morning there are clothes, cosmetics and perfumes on sale at Plaza Nueva. On Sundays between 9am to 3pm clothes, bags and shoes can be found at the Cartuja Market in Almanjahar Street. Image Credits: villamon, ben30, nette1274.